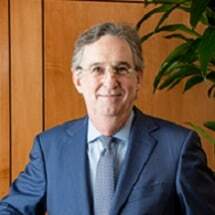 Michael Brickman is a skilled trial attorney and legal strategist who has devoted his career to representing consumers in complex legal matters against the world's largest corporations. He is a founding member of RPWB. Michael was born in Charleston, South Carolina, where his love of the law developed at a young age thanks to his father, Jack Brickman, who continued to practice law until the age of 95. Michael earned a history degree from Harvard University and his law degree from the University of South Carolina School of Law. After law school, he worked for his father, who then adopted the firm's motto of ‘there's no case too small now that Michael's here.' This led Michael to appear in virtually every court there was from traffic court to divorce court to the South Carolina Supreme Court. In 2003, Michael challenged the liability of tobacco companies for the deceptive marketing of "light" cigarettes on behalf of smokers in Illinois. The court returned a $10 billion verdict. The case remains under appeal, but the legal theories brought forth in the case have been accepted as valid in other state courts.